A family drama rich with longing for bygone days, How Green Was My Valley is an irresistible homage to the bright eyed innocence of childhood awakening to the convolutions of an adult world. In Wales of the 1800s, members of the respected Morgan family make a living by working in the local coal mine, much like everyone else in their scenic village community tucked into the lush countryside. 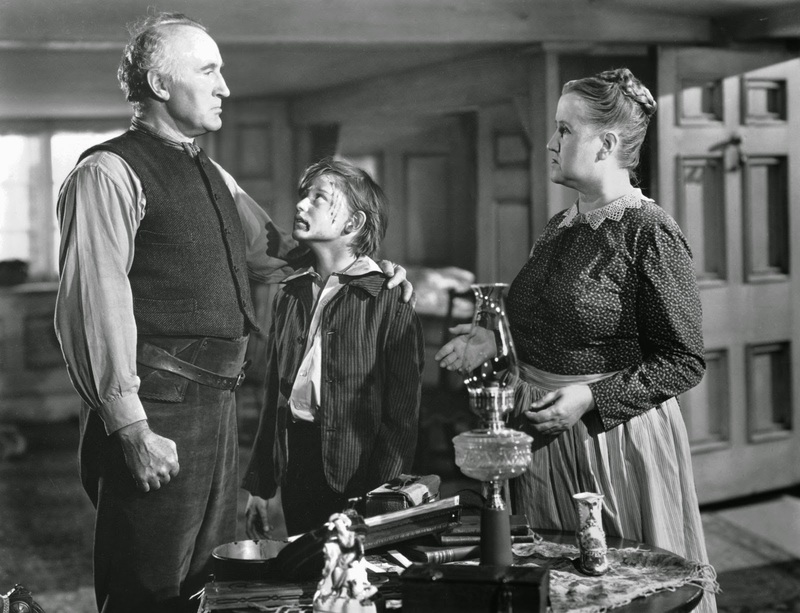 The family patriarch Gwilym (Donald Crisp) still works in the mine, while his wife Beth (Sara Allgood) maintains the household with help from daughter Angharad (Maureen O'Hara). The eldest five sons Ianto, Ivor, Davy, Gwilym Jr and Owen work with their father, while 10 year old youngest son Huw (Roddy McDowall) is smart enough to go to school, but is also eager to follow in the footsteps of his father and brothers. Change slowly but surely comes to the valley. Wages are driven down due to the availability of too many workers, triggering a strike and calls for a union that create a wedge between the more traditional Gwilym and his sons. Ivor gets married to the beautiful Bronwyn (Anna Lee), and Huw develops an immediate crush on his sister-in-law. The handsome Mr. Gruffydd (Walter Pidgeon) arrives as the new preacher in the village and catches Angharad's eye. Huw and his mother are hurt on a snowy night, while Angharad is pressured into marrying Mr. Evans, the son of the mine's owner. Huw has misadventures at school, there are tragic accidents within the mine, and Angharad tries to find a way to once again be with Mr. Gruffydd. The adaptation of the 1939 Richard Llewellyn novel is a nostalgic celebration of childhood, family and simpler times. Told through the eyes of young Huw, How Green Was My Valley unapologetically pines for days of yore, and yearns for people who have since departed and places that have since changed. With a Wold War rendering filming in Europe a difficult proposition, California locations and Irish accents have to suffice as representations of Wales. Director John Ford nevertheless strikes all the right notes, creating the most picturesque of mythical villages, where all the miners sing their way to and from work, the community is united, laughter is aplenty and families look out for each other and respect their elders. Then reality starts to creep into Huw's perspective, as labour strife, family divisions, economic realities and impossible affairs of the heart start to tear the family apart, and the community of his childhood disintegrates. The film touches on a broad range of issues, including social class divisions, workers' rights, religion, and economic immigration. As Huw experiences more adult interaction, he is exposed to hypocrisy within the church community, business imperatives dispensing with surplus workers, malicious community gossip, loveless marriages, physical trauma and harrowing bullying by classmates and teachers alike. It's a lot to pack into a two hour movie, which means that no one topic dominates, but Ford keeps the film pointed in a steady direction and the pace remarkably measured, while making sure that every scene is worthy of a postcard. Roddy McDowall was 13 years old at the time of filming and had already been acting for three year. He delivers a remarkably mature performance, the events in the valley unfolding from his viewpoint, and Huw emerging as the central character in a changing landscape. McDowall displays a range of emotion including respect for his father, worry for his family, fear for the future and the courage to adapt, all without resorting to bathos. 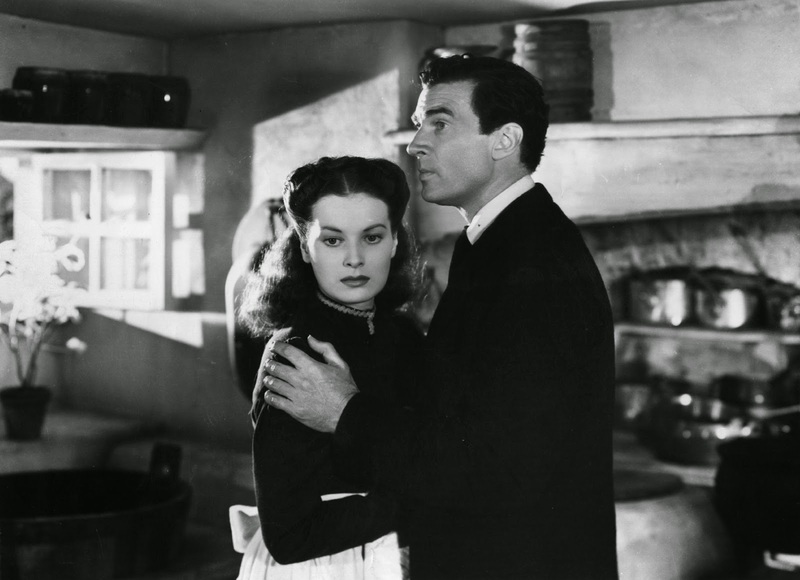 The other performances are steady and more traditional, Maureen O'Hara as Angharad provided with the most promising adult role but ultimately not much evolution. How Green Was My Valley succeeds as an attractive trip down memory lane tugging at the heartstrings that connect family and community, a case of the grass being greener on the other side of childhood.